xCitrofortunella microcarpa, Calamondin - can be pruned and trained to shape of lollipops giving easy access to flowers and fruit. The whole fruit is edible and is used in cooking although with a very sour-tasting pulp and large seeds. Although mature height can be 6m, it is widely grown as a pot plant for indoor use. 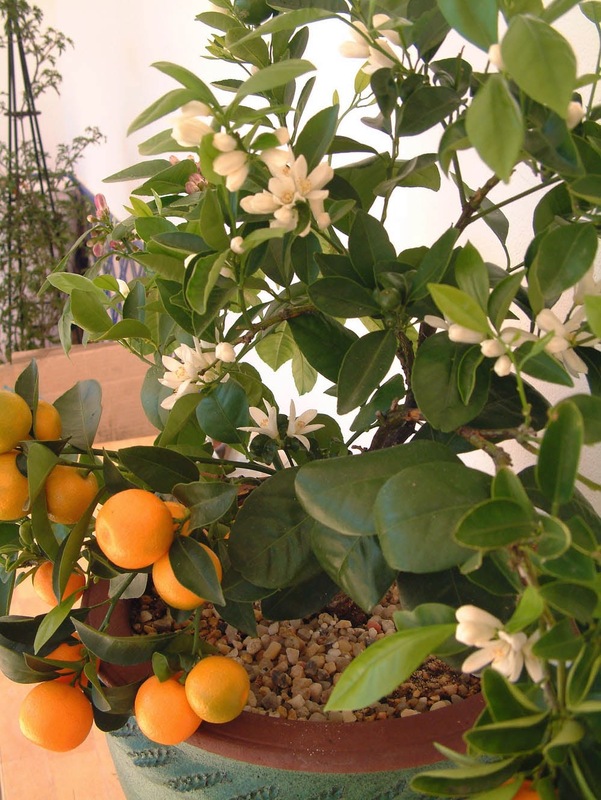 A hybrid evergreen shrub or tree, a cross between mandarin and kumquat. Possibly native to the Philippines, spreading to China and Indonesia, it is now widely grown in Florida and Texas. Easily damaged by frost. In common with many citrus it has sharp spines. It has highly fragrant, white flowers, during the early months of the year followed by small fruit which can remain on the trees all winter.